It’s been nearly a week now since we have returned from vacation and I don’t know why it’s so hard to get back into a regular routine! 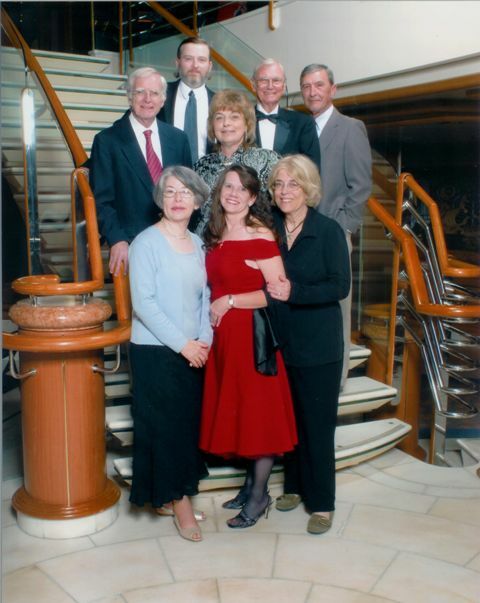 We flew to Seattle and spent three wonderful days sightseeing with good friends and then we boarded the Princess ship, Sapphire, to cruise to Alaska along the inside passage. It was an absolutely wonderful trip and I am in the process of putting pictures up on my Facebook for you all to enjoy! I could write a whole book on our adventures, stories we heard, and things we saw. It was absolutely gorgeous! Colder in Seattle than in was in Alaska while we were there. Trains, planes, automobile, ship, and tram – we did it all! In Seattle we went to the famous Beth’s Diner seen on the food network; home of the famous 12 egg omelet. 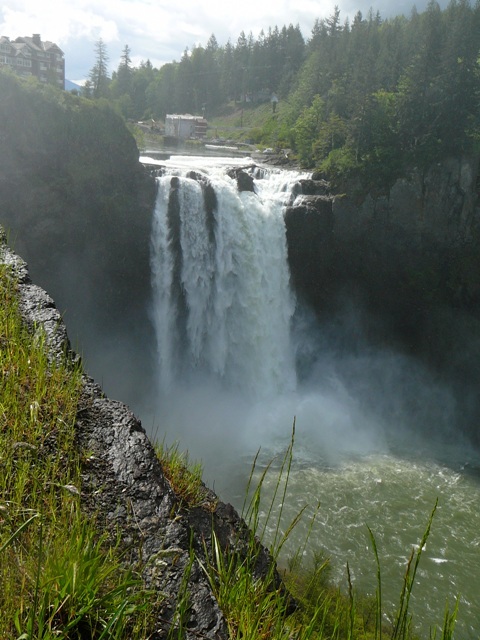 Snoqualmie Falls was breathtaking and 100 feet higher than the Niagara Falls if I remember right. The Snoqualmie train museum was fascinating. Learning to use the public transportation system was a fun challenge that we all actually conquered! We went up the Space Needle, visited the Ballard Locks and Botanical Gardens, and watched them throw the fish in Pike’s Market. We enjoyed the Klondike Gold Museum. Be sure to look at my pictures of the fantastic talent performing on the streets and some of the magnificent architecture there! We boarded the boat and it took the whole cruise to explore all it’s wonderful nooks and crannies. The scenic views were out of this world! 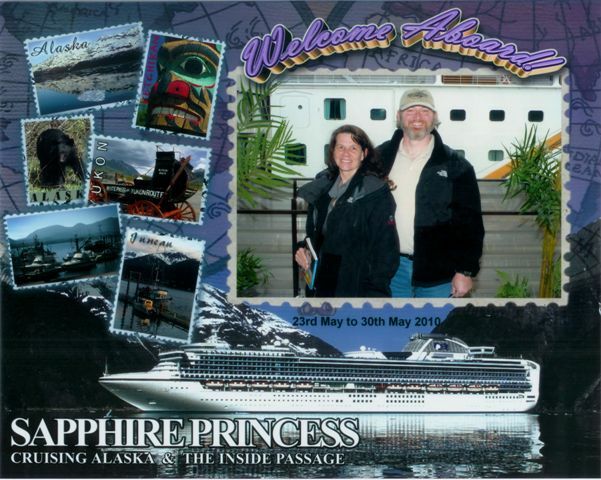 After cruising for a day and a half and having our first formal night we arrived in Ketchikan where we did a horse drawn trolley tour and explored the town on foot. I had no idea there was so much to know about totem poles! Spent a lot of time on famous Creek Street with it’s amazing stories! Took the tram to the top of the mountain and you could see for miles!! Absolutely beautiful! Next we cruised the inside passage of Tracy Arm and I saw my first floating ice bergs. Did you know the ice is really blue? That was so spectacular I had to buy the DVD of the cruise so I can show my kids how beautiful it is up there. Then we landed in Juneau where we went to the Mendenhall Glacier and then went on a whale watching cruise. 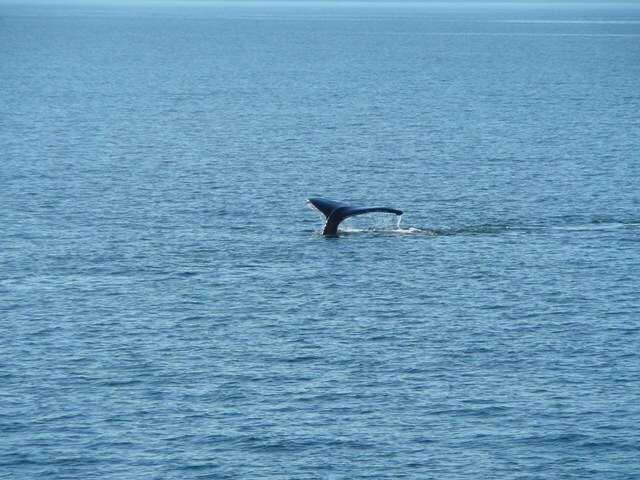 We saw lots and lots of whales. I have some wonderful pictures of Orcas, Humpbacks, and sea lions playing next to our boat. That alone would’ve made the trip worthwhile if the rest of it hadn’t been equally as good. In Skagway we went to do glassblowing, which was an awesome experience. The Jewell Gardens and model train setup as a miniature Skagway were just icing on the cake! Since our glass pieces had to slowly cool anyway they mailed them home so we didn’t have to worry about them getting broken on the trip. 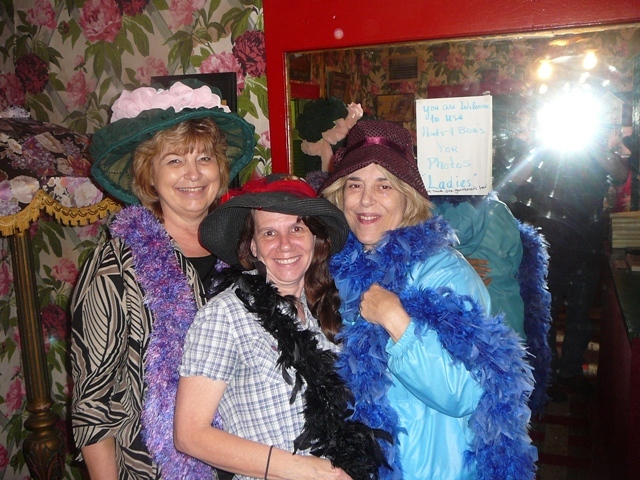 We also had English tea there in a quaint little tearoom. Awesome experience all the way around. Then we did the White Pass Scenic Railway which took us up into Canada and the views were just incredible. John and I didn’t go all the way to the Yukon like some of our friends did because of our glass blowing but it was still magnificent! Back on board we cruised for another day and a half and had another formal night. There was always something going on onboard the ship. We visited the ship’s arcade, casino, saw all the live productions, enjoyed several famous comedians, and took dance classes. 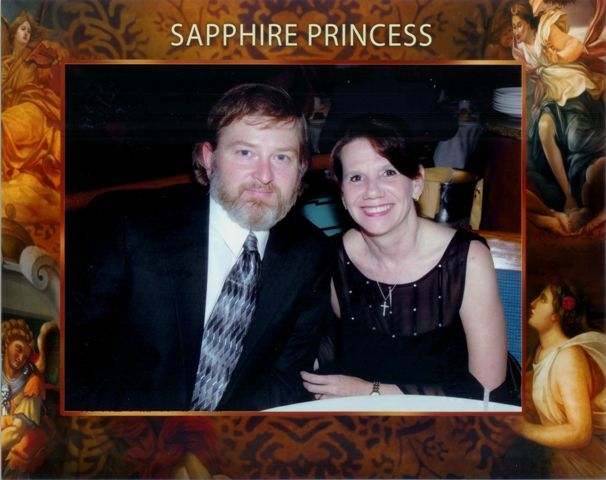 We attended wildlife lectures, art auctions, and cruise produced game shows. The food was incredible! Was as much a work of art as it was tasty! Be sure to check out the pictures of the Neptune buffet when I get them up. Incredible! I’d never seen anything like the parade of the Baked Alaskas on our last formal night. There just are no words! With the last stop I officially left the USA for the first time in my life as we landed in Victoria, British Columbia, Canada. There we toured the town, learned the story of the rabbits, took pictures at Mt. Tomie, and last but certainly not least toured the Craigdarroch Scottish Castle. The entire trip was just an incredible, once in a lifetime experience! I took over 2300 pictures and my husband took over 500. I am putting the best ones up on Facebook. If you ever have a chance to do this cruise I highly recommend it! We had a blast!! !